I’m now playing The Sims 3 with the Seasons expansion pack, and one thing that’s immediately obvious is how the holidays are given generic names instead of real-world ones. This does make a certain amount of sense, as they don’t necessarily want to reflect any specific religion or nation, although I’ve always figured the Sims’ world is in sort of an alternate United States. 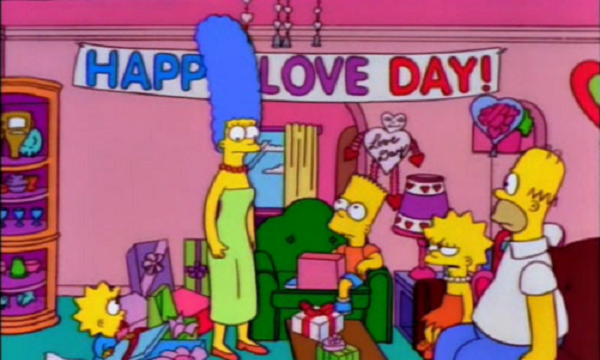 In spring, the main holiday is Love Day, apparently named by Costington’s. You can also hunt for eggs in the park. There’s Leisure Day instead of Labor Day in summer, which is kind of weird as the name isn’t religiously charged like Valentine’s Day or Easter, but in a way it makes more sense. After all, Labor Day is when you’re supposed to get a BREAK from laboring. Fall has Spooky Day as its Halloween equivalent, and it includes costumes and trick-or-treating. The park has a haunted house and apple-bobbing at this time of year, and you can carve and destroy pumpkins. I believe there’s also a kind of party you can throw that involves feasting, which is kind of a Thanksgiving thing. Finally, the winter holiday is called Snowflake Day. It’s around this time that Sims get the desire to throw gift-giving parties, which are pretty cool as you don’t even have to pay for the gifts for your guests. I believe you can actually throw such parties in any season, though. The generic holidays are interesting in light of the fact that Santa Claus could show up in the first two games, and he was actually CALLED that, not Annual Gift Man or anything. He’ll visit if you have a Christmas tree and cookies, and leaver a present for the household. 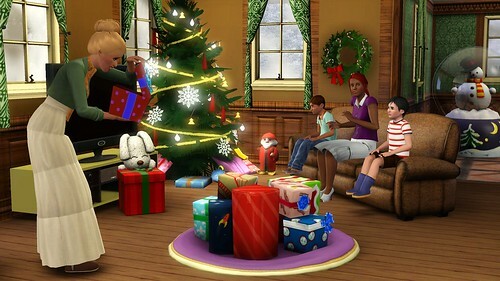 In the original Sims you also need a fireplace, but apparently Sims 2 Santa has figured out how to get in without one. 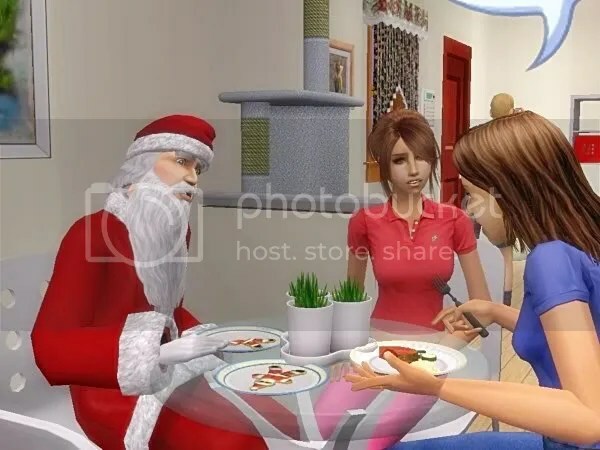 Also, you can interact with Santa in Sims 2, while the first game only had him show up when everyone in the house was asleep. The Sims 2 also let you throw a New Year’s party to which Father Time could show up and turn into Baby New Year. Although there was a Seasons expansion for Sims 2, I don’t think there was any relation between what season it was and whether you could celebrate Christmas or New Year’s. I don’t know much about Sims 4, but I know there’s an add-on that will let you decorate with Christmas trees and menorahs. Another series that features holidays similar to but not exactly the same as real-world ones is Animal Crossing. For instance, a day or two before Christmas, a reindeer in a Santa suit named Jingle will visit for Toy Day. Here’s a list of holidays and other events throughout the year. These apparently vary based on region; for instance, only North American copies of the games have Groundhog and Labor Days. They also have celebrations on the days that Americans celebrate Independence Day, Columbus Day, Veterans’ Day, and Thanksgiving. The Fourth of July has fireworks commemorating the opening of the train station, and Veterans’ Day is replaced with a holiday to honor police officers. Interestingly, Valentine’s Day and Halloween have the same names as in our world, even though they come from Christian tradition. This entry was posted in Animal Crossing, Christmas, Easter, Halloween, Holidays, The Sims, Valentine's Day, Video Games and tagged father time, jingle, labor day, new year's day, reindeer, santa claus, the sims 2, the sims 3, the sims 3 seasons, toy day. Bookmark the permalink.